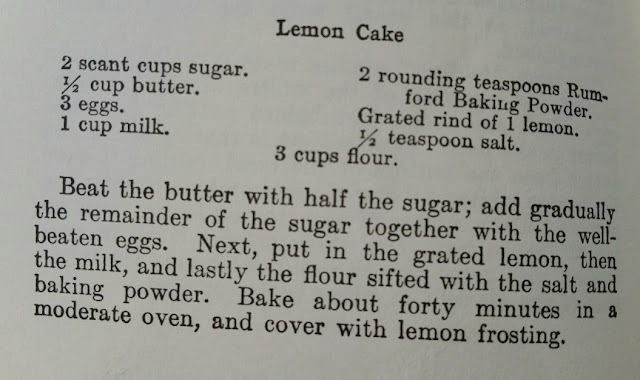 Looking through the Rumford Complete Cookbook again I was looking forward to making this Lemon Cake! 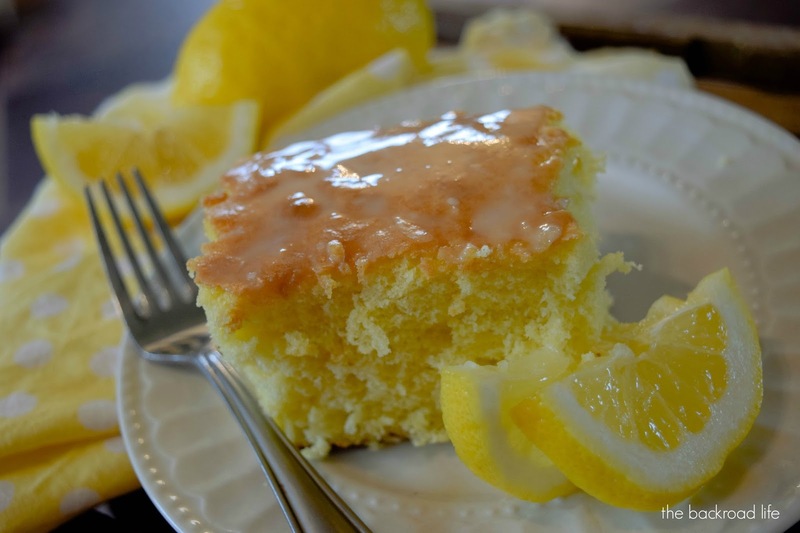 Lemon is one of my favorite flavors when it comes to desserts! Its such a light and fresh flavor. Perfect for Summer!! The Lemon Cake recipe is on page 134 of the cookbook. Below is a photo of the recipe in the cookbook. Beat the butter and the sugar together in a mixing bowl. Then add the well beaten eggs and mix together with the butter and sugar. Add the grated lemon, milk, flour, salt, and baking powder to mixing bowl and mix everything together well. Pour batter into a 9 x 13 greased baking pan. Bake for 40 minutes at 350 degrees. Cool completely and add lemon frosting over top of cake. 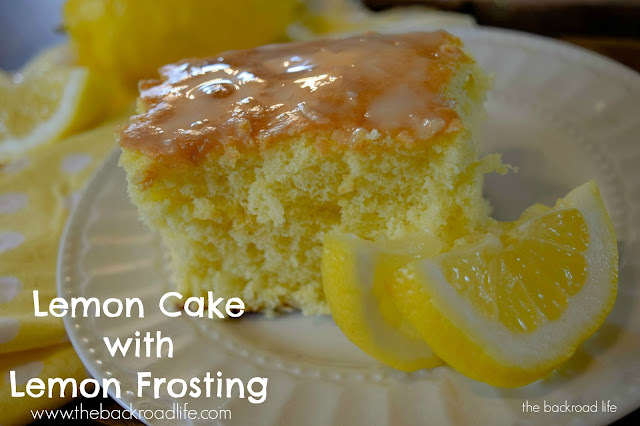 Lemon frosting recipe from the page 156 of Rumford Complete Cookbook. Strain and squeeze the juice of the lemons into a bowl. Then add the powdered sugar and mix together. 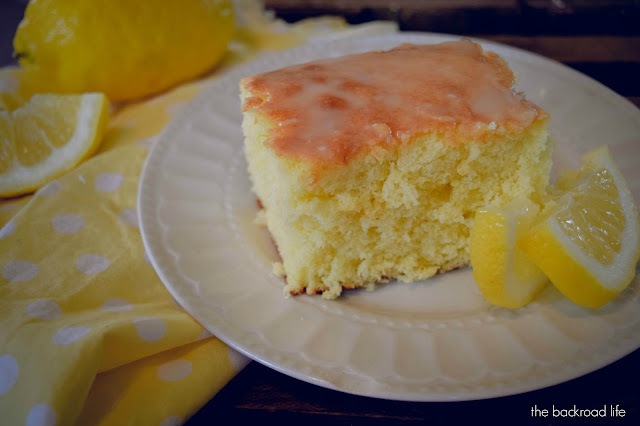 You may need more or less powdered sugar depending on the size of the lemons and how much juice came out. Mix juice and powdered sugar together until thick enough to spread over cake. Pour over top of cake and use knife to spread smooth.